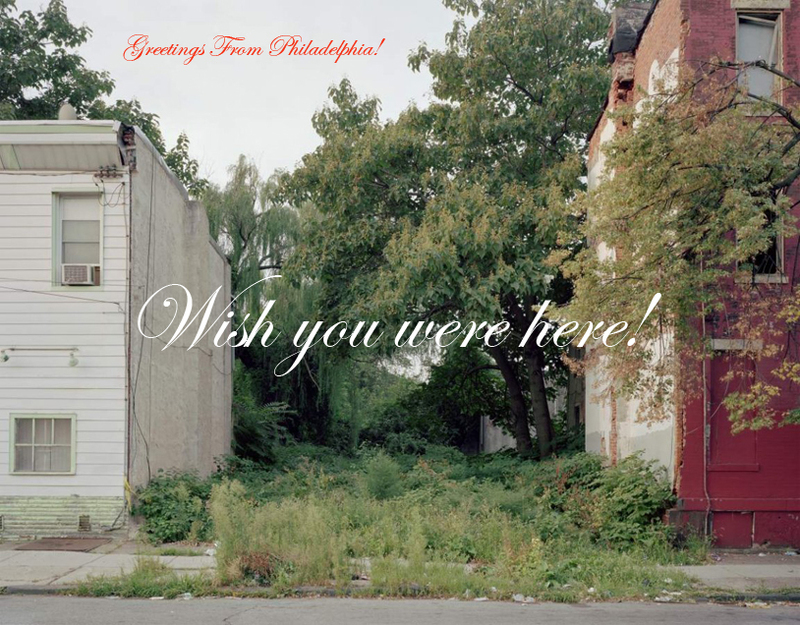 Depending on how you count them, Philadelphia has 30,000 to 40,000 vacant lots. Next week–August 8th-11th—Public Workshop will be setting up shop on one of them in North Philadelphia and working with neighborhood #teendesignheroes from the Village For Arts and Humanities to prototype ideas, and structures that could start to fill up some of these spaces in their community. In collaboration with the great folks at the Slought Foundation, the Village For Arts and Humanities and Amy Plumb of Dennis Oppenheim Studio, the workshop will begin with the team building a structure in memory of the late Dennis Oppenheim. This provocative (and structurally challenging) structure will be used as a point of departure for the team investigating the neighborhood and figuring what types of structures they can build to help support, and grow the good things that are happening in their community. Each day our team of #teendesignheroes will be full scale rapid-prototyping a new device/structure on a vacant lot next to the Village For Arts and Humanities, stimulating rich conversations around possibility. Come Build And Explore Possibility With Us! 1. Help with construction site set-up and pre-build pieces of Dennis Oppenheim’s Device To Root Out Evil. –Meet at 12.30 pm on August 13th at the Village. This will be the first time it’s ever been made out of wood and it’s going to be a great challenge- bring your tools. 2. Help design-build a really cool structure with our team- 12.30-6.30 each day. NOTE Time Change! 3. Cook something tasty and come to our final presentation and potluck on Thursday (August 11th from 4.30-6.30). -Feel free to come early and explore possibility with us! 4. Invite a friend and bring scrap building materials.